Another fighter has stepped out onto the street! From Capcom's Street Fighter video game series comes Ibuki, based on a character interpretation by master illustrator Shunya Yamashita. The female ninja stands poised on the toes of one foot, shuriken at the ready. 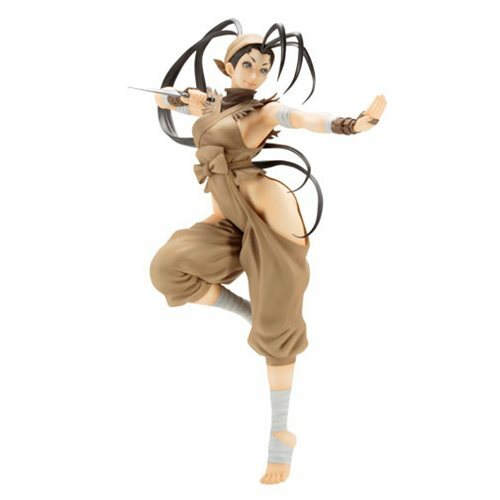 This Street Fighter Ibuki Bishoujo Statue stands 9 1/2-inches tall in 1:7 scale, made from plastic, and comes packaged in a window display box. Ages 14 and up.